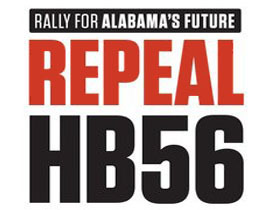 Federal judges are helping rid Alabama of this discriminatory law enacted by state legislators. THE GUERRILLA ANGEL REPORT — Known as HB-56, the strict Alabama anti-immigration law, prevented illegal immigrants from renewing mobile home permits or even moving them out of state. Portions of HB-56 were already blocked, but U.S. District Judge Myron Thompson took additional steps to make the state of Alabama stop denying mobile home permits to people without proof of U.S. citizenship. The Nov.30 deadline to comply has since been lifted. Upwards of 20% of renewal permits were being denied as the deadline approached. Sam Singh of the Central Alabama Fair Housing Center’s spokesperson said many were having to abandon their own homes to leave the state. National Immigration Law Center’s Karen Tumlin said they are looking into how interpretation of the judge’s ruling can also help people who are denied water and heat services as a result of HB-56. This whole thing is blowing up in the faces of the lawmakers in Alabama who enacted this law. It would be completely laughable if it weren’t for the harm being done to hundreds of thousands of Hispanic people living in Alabama.